Looks like this crop ‘o gears is just about ready! This is charming! It looks like a children’s book illustration. That is a heart warmer. I like your style a lot. 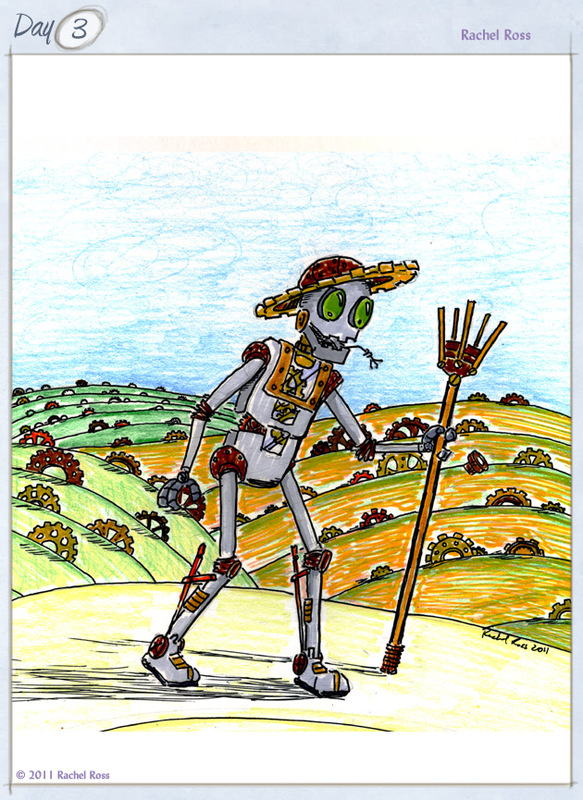 Ever draw other pieces like this with scarecrow robot(s) in the field? That would be awesome with the aesthetics like this.